One of the best books I've read in a while. The murder investigation was carefully laid out and realistic as far as I could tell, the attention to characterization smoothly detailed, the Essex City setting tangible, and the clues to Goldtree's secret life and identity in the first part deftly placed. The book is divided into 3 parts, with parts 1 and 3 concerning the mystery, and parts 2 with Goldtree. I liked all of the parts, and part 2 made me think about gender, but the middle might seem like an interruption to a reader looking for a pure mystery read. The themes I picked out were to secret lives, hidden and public selves, loved ones and people in your social circles feeling like they'd been lied to if you let them assume certain things about you, and dealing with the fallout of the public revealing of your other self. This is the type of book I'd want to reread at a later date, just to see if I can pick out the parallels between Stanstead (the murder victim), Goldtree (the detective), and the murderer's public and hidden selves. Rachel Pollack - Rachel Pollack is an American science fiction author, comic book writer, and expert on divinatory tarot. 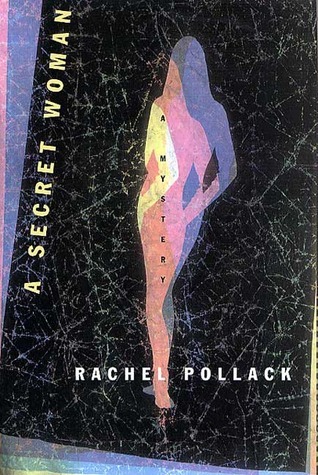 Pollack has been a great influence on the women's spirituality movement.